Situated just a few metres from the Loyola Holy House, is the birthplace of another famous Jesuit Brother Garate who was born in 1857 and joined the Jesuits in 1873. His entire life was devoted to love and service. He spent 41 years as a porter and nurse at University of Deusto (Bilbao) and was much loved and admired by all who knew him. He was known for his smiling face and his humility, simplicity and patience. He was beatified by Pope John Paul II in October 1985. 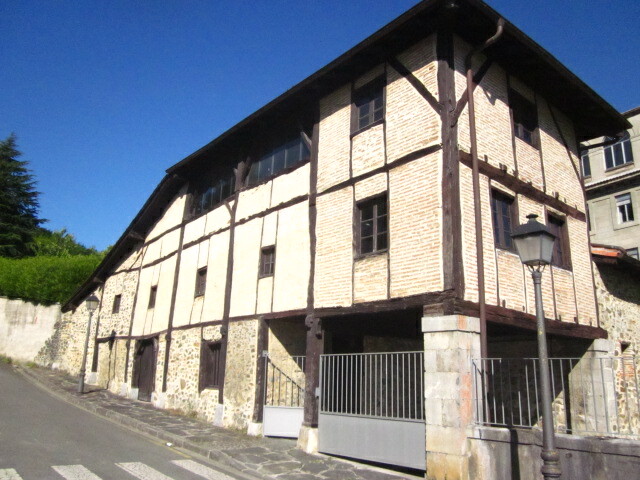 In contrast to the Manor House where Inigo was born and lived, Brother Garate house is that of a simple basque farmer. The animals were kept in the lower level, and the family lived upstairs. The house is remarkable for its austerity and simplicity and has been preserved by the Jesuits to show the daily life of a Basque farm labouring family. In Loyola and Azpetia this saintly man is well loved. 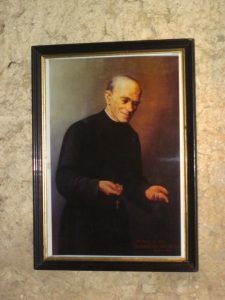 Below is an image of Bl Brother Garate.